I was talking to a friend about relationships and I found myself saying something I didn't realize was so true until it came out of my mouth. 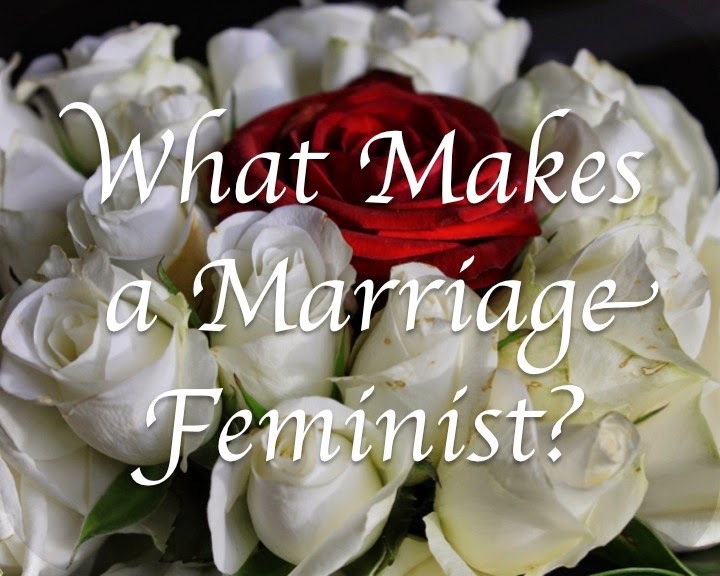 "Marrying a feminist has been one of the most important decisions I've ever made," I told her. "That's at the core of everything I've built in my adult life." My husband unabashedly identifies as a feminist, and that belief manifests itself throughout the partnership of our lives together: home, finances, parenting, personal interactions. We've built a strong relationship that has weathered some rocky storms, and I think that feminism is a big part of that strength. With that in mind, I've partnered up with K. M. O'Sullivan to host a blog hop reflecting on feminist marriages and partnerships. If you would like to participate, write a post that reflects on the role your partner's status as a feminist (or not) impacts your relationship. Then follow these rules to get them all linked up and easy to share. The blog hop will run until Sunday, August 31. Plan to make your post go live and share it any time before then. Once you've posted the post on your own blog, come back to this post and scroll to the bottom. Click on the blue button to add your link. Please be sure to check out some of the other posts and comment.